We are on a vegetable mission at the moment, not only trying to make sure that every meal has some kind of vegetable in it, but also making sure that the vegetables are the star of the show in some of our meals. Vegetables are definitely the star of the show in ratatouille. If you have lots of different vegetables in your fridge and you are not exactly sure what to do with them, then ratatouille is the answer. 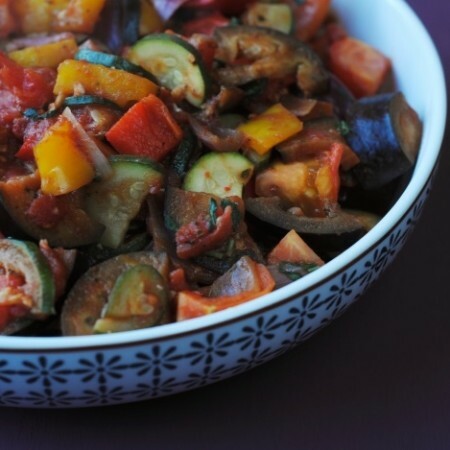 If you have just had a fruit and veg box delivered and you are feeling a bit uninspired with what to make with it all, then ratatouille is also the answer. 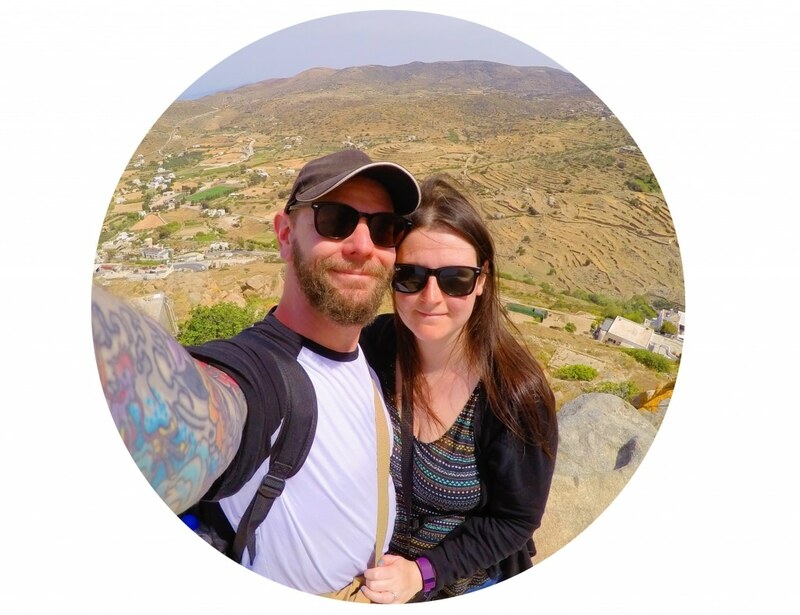 We received our fruit and veg box the other day and although I wasn’t uninspired, ratatouille just sounded really good and a great way to try a bit of everything. We had ours with just some bread, but it also goes well with some pasta and topped with feta (of course). But there is leftovers and that will be going on a baked potato tomorrow. It would be good on rice too. Just put it on everything!!!! There really is no rule when it comes to making ratatouille, apart from that it should have a tomato base, so that means that whatever vegetables you have, put them in and it will taste great. It is also all cooked in one pot, so throw everything in, season it, put a lid on it and simmer it until it is ready. As the tomato base is integral to this dish, I think it’s really important to use really good quality tomatoes, so of course I have used a tin of Cirio Peeled Plum Tomatoes in this. I asked Dave to open the tin for me and as soon as he opened it he said “wow, you can even see the difference in quality” and he is so right. You know how when you open up a tin of cheap tomatoes, it is mostly watery liquid? Well, not with Cirio! You can see the quality and you can most definitely taste the quality. Now, I know this might look like another Italian dish, but it’s actually a French dish that originated in Nice. It’s a traditional summer dish, but I think it’s also a really comforting winter dish. I think this is also the first French recipe on the blog too, so that’s cause for celebration. We are making sure that vegetables are the star of the show in some of our meals. Vegetables are definitely the star of the show in ratatouille. Put the oil in a pan and add all the vegetables and gently cook for 5 minutes. Add the rest of the ingredients and put a lid on the pot and simmer for 15 minutes. This looks SO delicious, it would be so good to make the night before and take to work for my lunch! At 137 calories you can’t go wrong at all!! !